Caregiving is expensive! Get financial help from over 2,000 available federal, state, and private benefits programs. A free service called BenefitsCheckup helps you quickly find the programs that could pay for prescription drugs, health care, utilities, and other basic needs for your older adult. BenefitsCheckUp is a legitimate service from the National Council on Aging (NCOA), a nonprofit service and advocacy organization. The NCOA has a 60+ year track record of building public awareness, influencing federal legislation, and creating national programs to make life better for older adults. Using BenefitsCheckUp saves a lot of time. You only need to fill out one form to search all available programs. To find out if your older adult qualifies for benefits programs, just answer basic questions like age, zip code, marital status and some detailed ones like income, expenses, and medications. 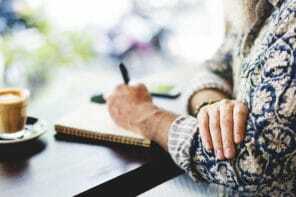 One of our editors answered the questions on behalf of their older adult and discovered many benefits programs that they didn’t know existed. BenefitsCheckUp recommended 23 benefits programs for our editor’s older adult. Some programs seem to be based on the senior’s income and assets. Others seem to be available for people on Medicare. From the report showing the programs your older adult could qualify for, you can apply online directly from an “Apply Now” button or click the link to get more information. The online application is simple, but might take some time to complete. There are 34 questions and could take 15 – 20 minutes. You can skip questions if needed, but providing more answers will give better results. DailyCaring tip: The “you” in the questions refers to your older adult (for example, your Mom or husband) and not “you,” the caregiver. You can choose to search all available benefits programs or focus on getting help with specific expenses like medicine or food. No matter what your older adult’s financial situation, it won’t hurt to check for potential benefits. Answering 34 questions takes time and energy, but this tool makes it efficient because it connects with 2,000+ programs using only one form. 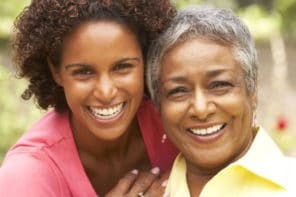 Saving money on caregiving expenses is well worth the effort! Id love to know how to bcome a PAID CAREGIVER/PCA;Everyone I talk to says I can B a PAID-CAREGIVER BUT NOBODIES EVER POINTED ME IN THE RIGHT DIRECTION;PLEASE HELP ME GET STARTED! !